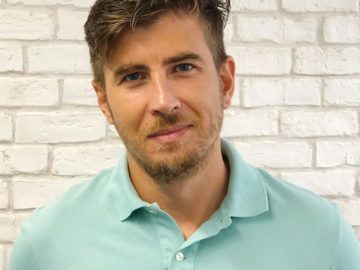 Bernardo relocated to Malta from Portugal to work at Betsson Sportsbook as a Football Trader and left a new year’s eve party to fly to his new home. 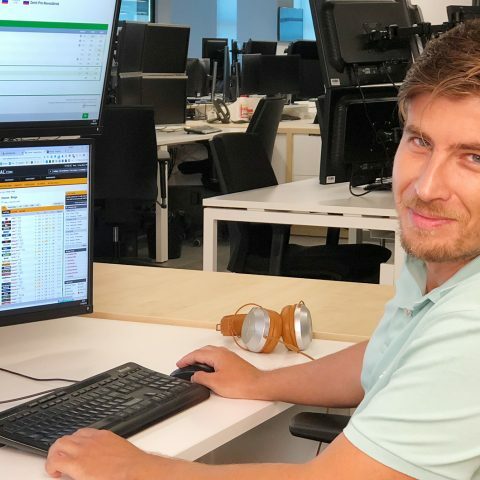 After one and a half year he still works with Sportsbook, but as a Customer Risk Analyst at the E2. I relocated to Malta from Portugal to work at Sportsbook as a Football Trader on Jan 1st 2017. It was quite a funny couple of flights since I went there straight from the new year’s eve party at 5 am. I still refer to it as the Red Bow tie flights. All in all, my adaptation to the company last year was very easy. I and my family are completely settled on this beautiful, friendly and safe Island. My kids love to live here as well… A water temperature of +26 can conquer anyone! The environment at E2Hub is great, really friendly and international. It’s a very smart office in the centre of Saint Julians. All Betssonites have 3 lunch per week provided by the company which help people to connect. You can also have a coffee while challenging a colleague to a foosball, tennis or snooker game, which always increase the quality of the relationships with the colleagues that very fast become also friends. I did my first 6 months at Taxbiex and I can state that both offices and facilities are great which fit perfectly on “One Betsson” value. Team events and all the challenging activities organized by HR are always really exciting. I’ve already had the luck to win the Betsson Fitness Challenge last year, and I got to fly to Man City stadium to watch a game and do a training session. It was amazing. We also just got our new addition to our facilities: a shower! This means that from now on there is no excuse not to do my jogging on my way to work, I love that!